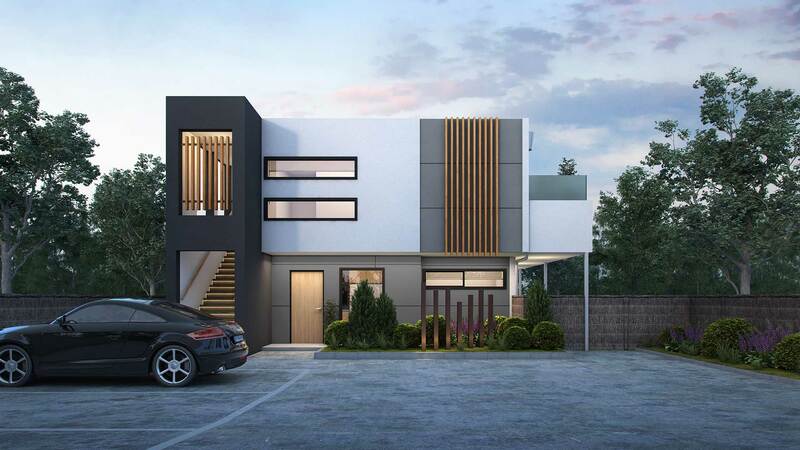 Combining MODO’s modern signature styling with simple design functionality are the key to this building. Designed to fit comfortably on most standard size allotments (approx. 15 metre x 40 metre) the site still provides generous private open space areas. Similar to other MODO Class 1b Rooming Houses this design comprises nine fully equipped lettable rooms, one disabled/physically impaired suite, common kitchen and common laundry. Facade material finishes and colours can be individually tailored to fit each Owners’ specific requirements, even floor plans can be massaged to suit a particular site if required. 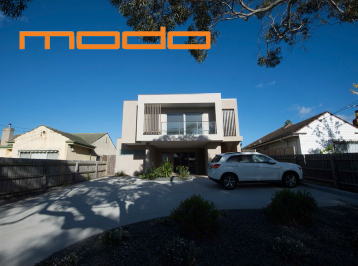 All MODO designed rooming houses are fitted with individual room electrical sub-meters and many Owners also elect to included individual room water sub-metering for ease of financial control. Site permitting, MODO always tries to incorporates a generous number of car parking spaces including one disabled space on each site.